In 1976, the Viking 1 Orbiter took the first photographs of the Cydonia region of Mars, showing what appeared to be a humanoid face one mile long and 1,500 feet high. 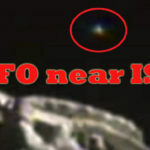 UFOlogists immediately jumped on the photos as prove of a previous or present intelligence. NASA quickly bashed these theories as simply a trick of light and shadow. The Cydonia region also contained what appeared to be several pyramid-like objects, which some researchers claim are not formed by natural occurrence. The strange loss of the Mars Observer as it made its way to the red planet in 1993 temporarily dealt a blow to any hopes of obtaining new, closer photos of this puzzling region of the planet. Some submitted that the craft was not lost, but that what it found was too controversial for public knowledge. Of course, there is no way to prove this contention. 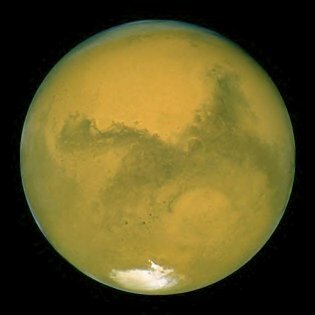 NASA was accused of knowing much more about Mars and its extraterrestrial connection than it would admit. The subsequent refusal of NASA to land the Sojourner near the Cydonia area only furthered the contention of many that the space administration was deliberately leading its technology away from the controversial area. NASA’s explanation was that there were other areas which were much more hospitable for a landing sight. With pressure from the general public being the main catalyst, NASA finally agreed to re-shoot the Cydonia area on a follow-up effort. Released on April 6, 1998, new pictures only added fuel to the fire. These “new” photos only deepened the mystery, leaving no “clear-cut” tag to stamp on the images. It seems that only a future manned mission, or closer, more accurate photography will clear the air. We must remember that here on our own planet there are many structures which are not clearly defined as natural, or man-made. The plot thickened with the discovery of the “Martian” meteorite in Antarctica. The possibility that life existed at some previous time on the planet was now almost unquestionable. Professor Richard N. Zare, Ph.D., of Stanford University, examined the rock from early Mars. “The estimated age of the rock is anywhere from 1.4–3.6 billion years old,” he stated. 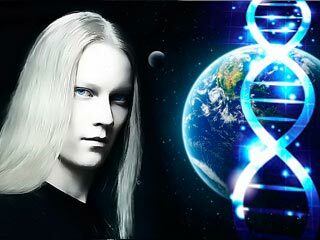 Dr. Zare and his colleagues concluded that it is highly probable that some form of primitive, single-celled life existed on Mars at that time. The question was then asked, “if life did exist at one time, then maybe some form of life exists now,” certainly something worth researching. Two other areas of Mars that appear to have created features are the M-15 area, and the so-called Triangle. The M-15 feature seems to show fairly uniform “streaks,” which suggest a kind of division of sorts. Resembling age-old walls, or remains thereof, there is a hint of intelligent construction. This area is covered with eons of dust, and it is difficult to tell if important parts of the image are covered. What an archaeologist’s dream dig. The sides of the area seem to slant upward toward a peak, making it difficult to say it was formed naturally. 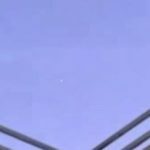 The triangle or heart-shaped object suggests a UFO connection. This object, sitting on the surface of the planet, was originally discovered by Efrain Palermo. The object is about 100 meters across, and does indeed resemble a triangular-shaped craft. The top of the object seems to contain support structures, systematically laid. The original photograph shows a shadow cast across the object, motionless on a smooth surface. 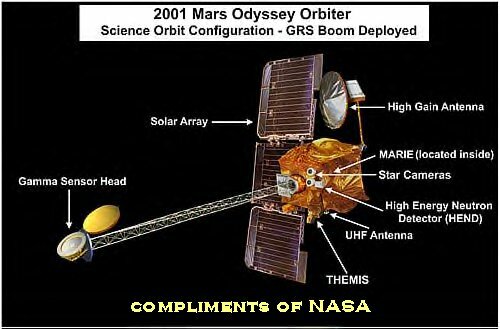 On Tuesday, October 23, 2001, the Odyssey spacecraft will conclude a six month venture by taking orbit around the mysterious orb we call Mars. What new secrets will be revealed? What new mysteries will be uncovered? 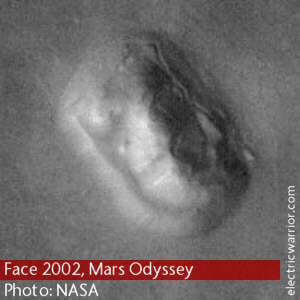 Malin Space Science Systems (MSSS) MOC narrow-angle image M02-03051 of unusual face-like surface feature in valley of Libya Montes near equator on Mars, approximately 275 degrees West and 2.66 degrees North.Image released by MSSS on May 22, 2000. To find this feature, it is necessary to turn the original MOC image upside down. Ice Beneath The Rust… Los Alamos – March 1, 2002Scientists today unveiled maps that detail the location of hydrogen, that may indicate water-ice, just below Mars’ surface. The maps are based on data from a neutron spectrometer built at the Department of Energy’s Los Alamos National Laboratory and flown aboard NASA’s Mars Odyssey now in orbit around the Red planet. The data are supported by simultaneous measurements made using the Mars Odyssey’s gamma-ray spectrometer. 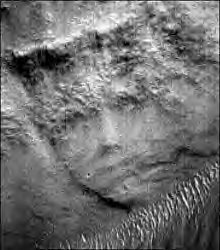 New Picture of Face on Mars, April 2002NASA has released a brand new image of the notorious Face on Mars. Also in full view for the first time in about 30 years is a landform that Mars anomaly researchers call the D&M Pyramid. As promised last January by NASA project scientist Steve Saunders, the Odyssey’s Thermal Emission Imaging System (THEMIS) has photographed the famous Martian landmark, as one of the high-priority imaging targets that are of great interest to the general public. The THEMIS system was developed for NASA by Arizona State University, and the photograph for April 13, 2002 is one of a series of daily images released by the Odyssey imaging team. “Inca City” is the informal name given by Mariner 9 scientists in 1972 to a set of intersecting, rectilinear ridges that are located among the layered materials of the south polar region of Mars.Their origin has never been understood; most investigators thought they might be sand dunes, either modern dunes or, more likely, dunes that were buried, hardened, then exhumed. Others considered them to be dikes formed by injection of molten rock (magma) or soft sediment into subsurface cracks that subsequently hardened and then were exposed at the surface by wind erosion. The Mars Global Surveyor (MGS) Mars Orbiter Camera (MOC) has provided new information about the “Inca City” ridges, though the camera’s images still do not solve the mystery. The new information comes in the form of a MOC red wide angle context frame taken in mid-southern spring, shown above left and above right. 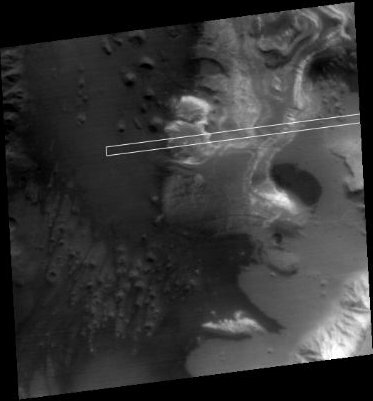 The original Mariner 9 view of the ridges is seen at the center. The MOC image shows that the “Inca City” ridges, located at 82°S, 67°W, are part of a larger circular structure that is about 86 km (53 mi) across. It is possible that this pattern reflects an origin related to an ancient, eroded meteor impact crater that was filled-in, buried, then partially exhumed. In this case, the ridges might be the remains of filled-in fractures in the bedrock into which the crater formed, or filled-in cracks within the material that filled the crater. Or both explanations could be wrong. While the new MOC image shows that “Inca City” has a larger context as part of a circular form, it does not reveal the exact origin of these striking and unusual martian landforms. MARS – CANAL LIKE MARKINGSOn August 27th, at 09:51 universal time (UT) , Earth made its closest approach to Mars in nearly 60,000 years. Many of our readers in Australia and New Zealand had some of the best views. 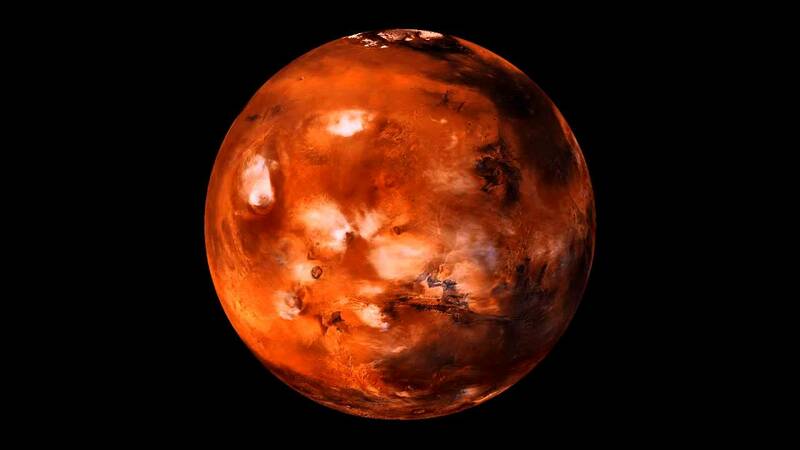 We urge everyone to try to observe Mars and see its white poles, perhaps canals and green vegetation. Storm writes: The question of canals on Mars may not be answered. 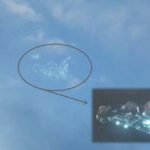 NASA, SETI and Space.com states you cannot see canal like markings on these images from NASA. Hubble photographs of the entire planet disk show channels in the surface that look like canals and valleys. An H-like formation of channels has perpendicular and right angle straight line markings. These are definately odd formations. This portion of the image M0304405 from the Mars Global Surveyor Orbital Camera rotated on it’s side shows clear channel or canal like markings that appear to be emptying liquid water into a large body of water at the bottom portion of the same image below. Other markings on this full image under close inspection look like intelligent structures including road, pyramidal, tower, walls and castle like formations, some on the upper example and others further down the image. DARMSTADT, Germany (AP) — European space officials on Wednesday showed off the first pictures of Mars sent back by the Mars Express spacecraft as it heads for a Christmas rendezvous with the red planet. The pictures, taken from 5.4 million kilometers (3.4 million miles) away, aren’t top quality but prove that the spacecraft’s German-made HRSC high-resolution camera is in working order before it begins orbiting Mars and snapping pictures close up. The camera test, performed on Monday, is one of a series of checks and rehearsals before a series of intricate maneuvers beginning December 19, when Mars Express will turn loose its British-built Beagle 2 lander toward the Martian surface on a mission to probe for signs of extraterrestrial life. 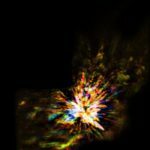 The spacecraft, launched June 2 atop a Russian Soyuz-Fregat rocket from Kazakstan, has weathered solar eruptions that last month bombarded it with high-energy particles, temporarily disrupting its computers. An unexpected drop in electrical power to about 70 percent of what was expected is also not expected to derail the mission, officials said. Flight operations director Michael McKay said controllers have been busy rehearsing in computer simulations how to deal with potential troubles, including failure of the main engine to be used to slow the craft into orbit. The controllers solved the problem by using its smaller maneuvering rockets in the simulation. “We have flown every possible contingency, and some impossible ones,” McKay said. Of the 34 unmanned American, Soviet and Russian missions to Mars since 1960, two thirds have ended in failure. The 65-kilogram (143-pound) Beagle 2 will use a robotic arm to gather and sample rocks for evidence of organic matter and water, while Mars Express orbits overhead. During its working life — currently planned for one Martian year, or 687 Earth days — it’s hoped Mars Express will send back detailed overhead pictures of the surface and use a powerful radar to scan for underground water. Scientists think Mars once had water and appropriate conditions for life but lost it billions of years ago, possible after being hit by asteroids. It is believed water might still exist as underground ice. LONDON – Scientists waited in vain for a sign that Europe’s tiny Mars lander, the Beagle 2, had survived a landing on the Red Planet. Both a U.S. satellite and British radio telescope failed to pick up its signal. The Beagle 2, designed to search for signs of life on Mars, was believed to have landed shortly before 10 p.m. Wednesday, its impact softened by parachutes and gas bags. An early effort by an American satellite orbiting Mars, the Mars Odyssey, failed to pick up a signal from the Beagle. Late Thursday, scientists at the Jodrell Bank Observatory in Cheshire, England, scanned the Martian surface with a huge radio telescope between 5 p.m. EST and 7 p.m. EST, but received no transmission, the British physics and astronomy research agency said. Officials said they remained optimistic about establishing communication with the lander. The next opportunity will be via Mars Odyssey at 1:15 p.m. EST Friday, and more information was expected by midmorning Friday at a London news conference. “It’s a bit disappointing but it’s not the end of the world. Please don’t go away from here believing we’ve lost the spacecraft,” said Colin Pillinger, Beagle 2 project’s lead scientist. In addition to Odyssey, there soon will be a chance for the Beagle’s companion ship, the Mars Express, to communicate with the lander. It is also in orbit around the planet. The Mars Express, which carried the Beagle into space and set it loose a week ago, successfully went into orbit Thursday. That was a crucial success for the European Space Agency’s project. The Mars Express is designed to beam back data gathered by Beagle on the surface, as well as to map the Martian surface and search for water with a powerful radar that can scan several miles underground. In the coming days, controllers must change the orbit of Mars Express from a high elliptical one around the equator to a lower polar orbit that will let it scan more of the surface. There have been only three successful Mars landings – all of them American. Two U.S. Viking spacecraft made it in 1976, while NASA’s Mars Pathfinder and its rover vehicle Sojourner reached the surface in 1997. Several vehicles, most recently NASA’s 1999 Mars Polar Lander, have been lost on landing. The Soviet Mars-3 lander made a soft landing in 1970 but failed after sending data for only 20 seconds. NASA Rover Touches Down on Mars, 01-03-04. PASADENA, Calif. (Jan. 4) – A NASA rover plunged through the atmosphere of Mars and bounced down upon its rocky surface Saturday night, beginning a mission to roam the Red Planet in search of evidence that it was once suitable for life. 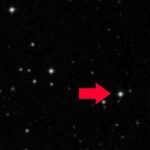 A cheer went up at NASA’s Jet Propulsion Laboratory after signals showed the spacecraft had successfully reached Mars. The rover signaled Earth after landing. DARMSTADT, Germany (Jan. 23) — Europe’s Mars orbiter has found the most direct evidence yet of water in the form of ice on the Red Planet’s surface, the European Space Agency said Friday.While scientists have long believed that the planet’s polar caps contain frozen water, the findings were based on indirect methods such as analysis of temperature data or the detection of traces of hydrogen. 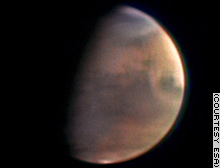 European scientists said their discovery was based on analysis of vapors of water molecules detected by the infrared camera aboard the Mars Express spacecraft that is circling the Red Planet’s south pole. 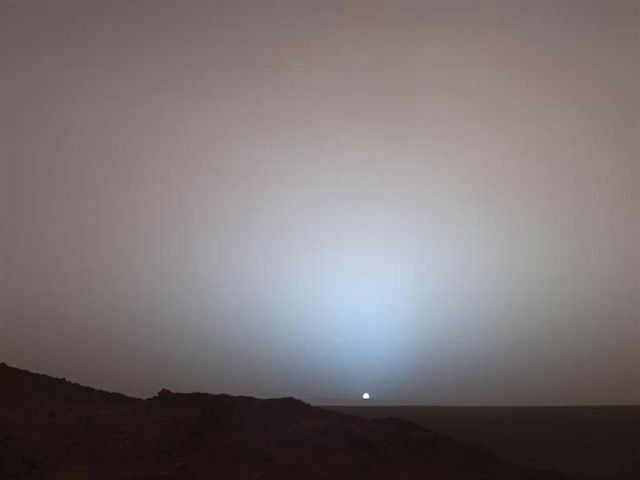 If Mars once had surface water, it had the potential to support life – although Moorehouse cautioned that it was too early to draw conclusions. In 2001, NASA’s Mars Odyssey spacecraft had determined that there is lots of ice mixed with the soil, as little as 18 inches from the surface.